Ayurveda: "Spring Cleaning" for mind, body & soul | IndianLife Foods Inc.
Ayurveda is the traditional Hindu system of medicine – and the world’s oldest. But its ancient wisdom is confirmed by modern science. Today we know that health depends on a balance between mind, body and spirit, the founding principle of Ayurveda. Ayurveda is a Sanskrit word which means ‘five actions’ or ‘five treatments’. Anti-aging, healing therapies, purification and rejuvenation programs are used to balance, heal and purify. A full panchakarma program is best undertaken with an ayurvedic practitioner. 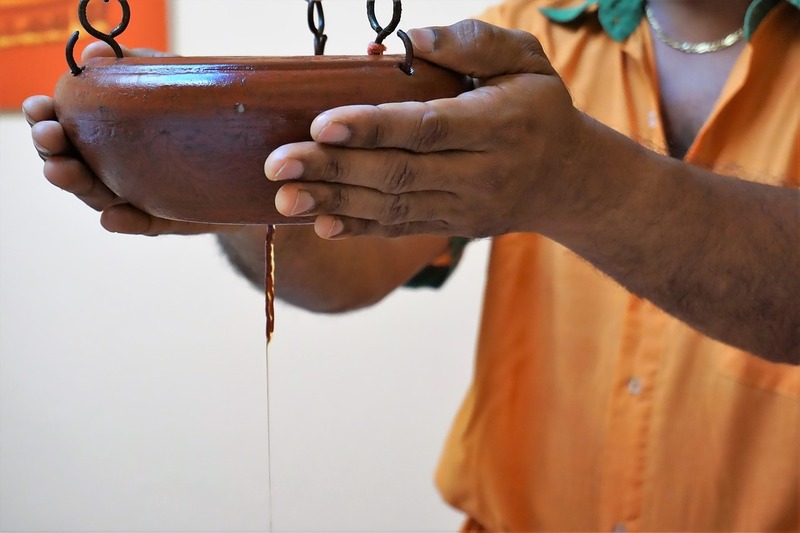 The image shown is a “Champi”, a traditional vessel used to dispense oil during popular Indian head massage. Panchakarma typically incorporates Ayurvedic massage, steam baths and intestinal cleansing treatments. While Panchakarma at a clinic may not be possible for you, there are simple Ayurvedic regimens you can follow at home for a gentle internal spring cleanse. Food is medicine in ayurveda. A detox diet consists of warm, wholesome, nourishing foods that are “lighter” than the fare we typically eat through the winter, and easy to digest. Soups, light curries, and dishes with mildly-spiced veggies and grains help. Getting enough sleep is critical in Ayurveda. As is drinking warm fluids, daily walks and exercise. In fact, these are some of the proven wellness tips all doctors recommend today. Cooking with immune-supporting spices including cumin, fennel, coriander, turmeric, ginger and black pepper is also an important part of eating for panchakarma. Our Indianlife Signature Spices are an easy way to add these health helpers to your spring detox diet. During an ayurvedic detox diet it’s also often recommended to reduce or avoid red meat, refined and canned foods, salt, coffee, dairy products and alcohol.